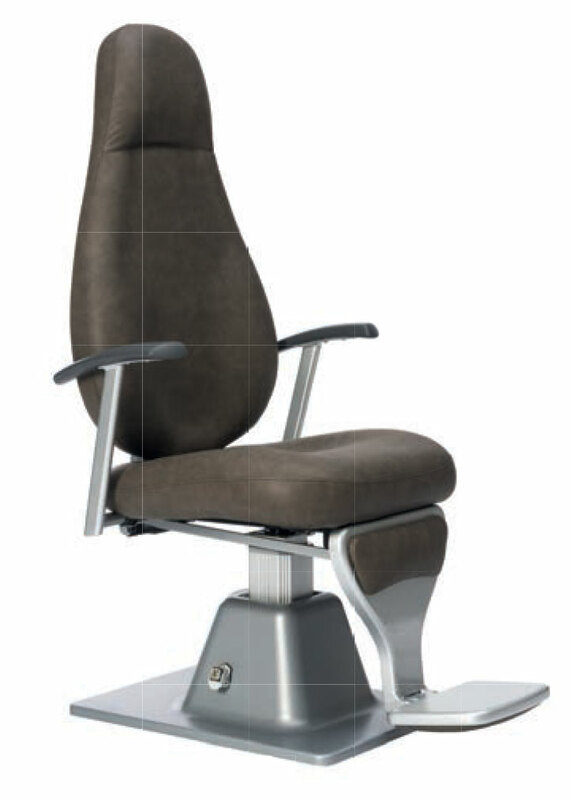 CSO R9000/9900 Standalone Refraction Unit Chair. Completely reclinable chair with electronic height adjustment and synchronized footrest. Reclinable armrest. R9900 is distinguished by the opening on the backrest. Also available with refraction units.